Aaspects of the Vietnam War including three full days visiting major sites of operations and actions involving American forces in the DMZ, Khe Sanh and the Central Highlands. This Vietnam military tour covers the battle sites in Central Vietnam during the Vietnam War. Main war sites in Vung Tau such as the Long Tan Cross, the Horseshoe and the Long Phuoc Tunnels, Nui Dat (SAS Hill). Looking for a reliable company that can offer fully customised Vietnam military tours to battle fields and combat areas such as Khe Sanh and Pleiku, but also places the Vietnam War in today’s context? Our veteran tours of Vietnam offer you the freedom to follow your own path backed up with our unique 24hr service. 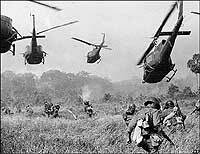 We are a Vietnamese company specialising in high quality Vietnam military tours for Vietnam veterans of America and Australia. We know the places, we know the events and we know the people. 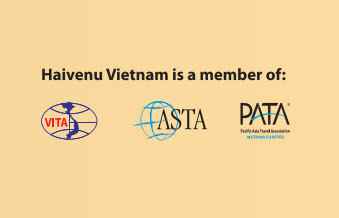 Because we are Vietnam’s foremost ‘tailor-made’ tour operator, your visit will be arranged and managed by experienced professional experts throughout. Vietnam War veterans returning to battle field Vietnam for the first time compliment us on our meticulous arrangements and our understanding of our visitors’ need and interests. In particular, they are often amazed at the extraordinary lengths to which we go to get you to exactly where you want to go. Other companies take you to the standard tourist ‘sights’ – Khe Sanh, Doc Mieu, the Rockpile, Long Tan and so on, but it often leads to disappointment because there is usually very little to see. At Khe Sanh, for example, the outline of the airport and the occasional bullet or shell casing are the only visible remnants of the war's bloodiest battle. Our veteran tours of Vietnam go further. We understand that many Vietnam veterans of America and Australia are seeking 'closure' by placing the events of the past in today’s context. Unfortunately, the lack of identifiable remains of battlefields, buildings and landmarks is a considerable obstacle to laying the ghosts of yesteryear. However, although time has obliterated most physical traces of the war, it lives on in the minds of the protagonists. First, we pin down the locations that have significance for you. 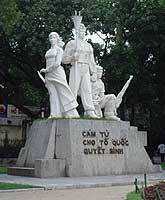 Then we search for local Vietnamese people who were there at the same time as you, and introduce you to them. On our tailor-made Vietnam military tours, sharing reminiscences of the days of conflict with the ‘enemy’ over rice wine and vodka is a truly cathartic experience for both sides. Vietnam veterans of American and Australia are frequently concerned about the reception they’ll get in Vietnam. Without exception, they are surprised to find a warm welcome everywhere - no resentment or bitterness anywhere. Our culture drives us forward: battle field Vietnam is the past – we don’t look back. For Vietnam veterans of America and Australia who have been back previously, we can arrange Vietnam military tours to take in other aspects of the war, perhaps combined with a Vietnam tour package taking in Vietnam’s excellent beach and/or mountain resorts.